Bhutan, the country came to be known as Druk Yul or The Land of the Drukpas sometime in the 17th century. The name refers to the Drukpa sect of Buddhism that has been the dominant religion in the region since that period. 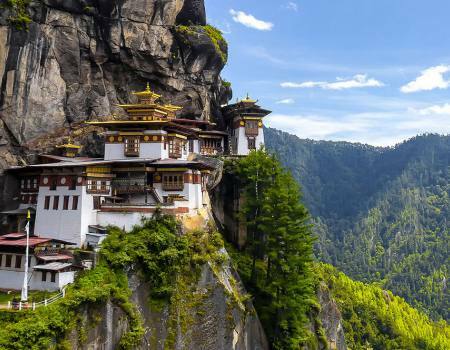 Bhutan a Buddhist kingdom on the Himalayas’ eastern edge, is known for its monasteries, fortresses (or dzongs) and dramatic landscapes that range from subtropical plains to steep mountains and valleys. In the High Himalayas, peaks such as 7,326m Jomolhari are popular trekking destinations. Paro Taktsang monastery (also known as Tiger’s Nest) clings to cliffs above the forested Paro Valley.